Big congratulations to Meyer De Waal on securing a weekly slot on the VOICE OF THE CAPE RADIO STATION. Listen to Meyer de Waal on Voice of the Cape Radio Station every Tuesday night from 18h00 – 19h00 during the Legal Hour, during which various legal topics are being discussed. Meyer De Waal has also recently made a valued contribution to the REAL ESTATE INVESTORS MAGAZINE – February issue. 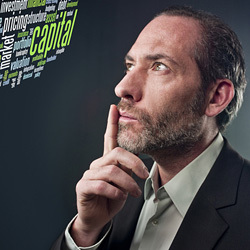 Read these articles, “Do a due diligence on a property before you buy it” and his cover leading contribution “Don’t get hoodwinked”, online by <clicking here>. Also read the new edition of Real Estate Magazine that will be out soon with a follow-up article. Please be advised that our firm provides a professional administration service, whereby we assist with the administration of LONG term rentals. We know very well what a nightmare the management of a single or, even worse, multiple properties can be for any Landlord. 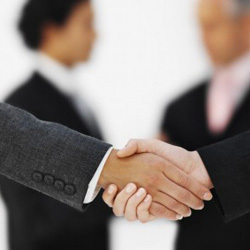 Therefore, we would like to extend a kind hand by offering to assist you in the management on a hands-on basis. Please contact Heila at heila@oostco.co.za or on 021 461 0065 for more information in this regard. Affordability remains one of the biggest hurdles when trying to raise a home loan. Find out if you can save thousands of rands on your debt repayment to improve your purchase power and affordability in order to purchase your own home. Complete a FREE SURVEY to determine your current debt profile as you may need this to plan your way forward in order to get out of debt. Contact us be sending your email to save@budgetfitness.co.za. Selling your house? Remember your electric fence compliance certificate! In terms of the Electrical Machinery Regulations 2011, an additional compliance certificate is needed to effect transfer of immovable property if an electric fence system is installed on the property to be sold. This certificate provides proof that the installed electric fence system complies with the legal requirements for such as system. Dawid Badenhorst takes a closer look into some of the most common aspects to keep in mind regarding this new requirement. Key points in complying with the regulations. If you are installing an electric fence for the first time or upgrading or altering your existing fence, make sure that your installer is a registered installer and remember to ask for your certificate of compliance following the installation or alteration. 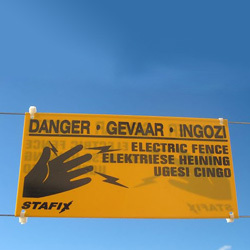 For further information on electric fence compliance certificates and the effect thereof on your current or future transfer, please contact Mark Witzmann at mark@oostco.co.za or on 021 461 0065. Parties to a transaction – do your research. Are you as a Seller (or as an estate agent on behalf of your seller client) aware of whom you are dealing with as the Purchaser? Do you simply take and accept the Purchaser at face value? This could be perilous if you do not investigate properly the status and identity of the Purchaser who is attempting to buy your most valuable asset. What should you as the seller or you as the estate agent look out for prior to writing up an offer? When dealing with a natural person establish the marital status of the party signing. If the party is married in community of property, BOTH the spouses must sign the deed of sale. If both spouses are not available at that moment, one should provide a separate consent to the contracting party. Should the Purchaser wish to make his offer subject to the sale of his/her property, it is essential to confirm that he is indeed the owner of his property by performing a Deeds Office search. Estate agents who do not have access to the Deeds Office printouts can still perform these searches on various other property programs e.g. CMA Info. Is the purchasing CC/Company still active as per the records of the Companies and Intellectual Properties Commission (CIPC)? A report drawn from the CIPC’s website will aid you in establishing whether the CC/Company is still active to trade. If annual returns are not submitted for a specific period, CC’s and Companies can be deregistered, which means that they cannot enter in a contract until such time as they have been re-instated. This could have dire consequences for a seller who believes he is entering into a legal and binding agreement. 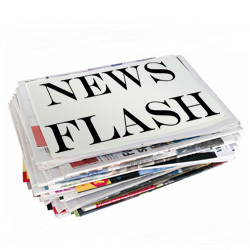 Also, the re-instatement of an entity takes approximately 6 -8 weeks, which may in turn affect the transaction. A CC/Company can also be deregistered by the court and an application may have to be lodged in the courts to have the company re-instated. It is therefore imperative that full CC/Company screening is done on the purchasing entity. Is the CC/Company representative duly authorised? This is also very important as there may be more than one Director of a company or member of a close corporation. It is therefore prudent to pass a resolution, signed by all the directors of a company, or all the members of a CC authorising the transaction and specifying a representative to sign specified documentation. A CIPC search will indicate not only the status of the CC/Company but who all the directors/members are. Then faced with an offer from a purchasing trust, a Seller and Agent must establish whether the Trust is registered at the Master’s Office. Trusts are allocated with distinctive registration numbers (like companies and close corporations) and the Seller must insist to see this number which must be inserted on the offer as proof of identification. The trust deed must be perused to identify the Trustees and to determine whether they have the authority to transact (example, buy, sell and or mortgage property). Sellers should insist on receiving a resolution passed by all the Trustees and authorising the said purchase and also authorising the duly appointed representative (normally the main trustee) to sign the deed of sale on behalf of the Trust. It can quite easily occur that this is omitted and when it comes to signing transfer documents at the attorney’s office the remaining trustees refuse to sign on the basis that they never authorised the transaction and are opposed to it. We trust that the above information will be beneficial to both Sellers and Estate Agents and that, by employing these simple measures, a Seller can be assured that his/her most valuable asset is sold properly and in accordance with sound legal principles. Please do not hesitate to contact Mark Witzmann at mark@oostco.co.za or on 021 461 0065 for further information or advice on this topic.